The proposed marriage between Princess Eulalie of Thurn und Taxis, a member of the Bohemian branch of the princely family, and Prince Raphael Rainer, the fourth son of the head of the house, Albert, the 8th Prince of Thurn und Taxis, seemed to be an excellent dynastic alliance. 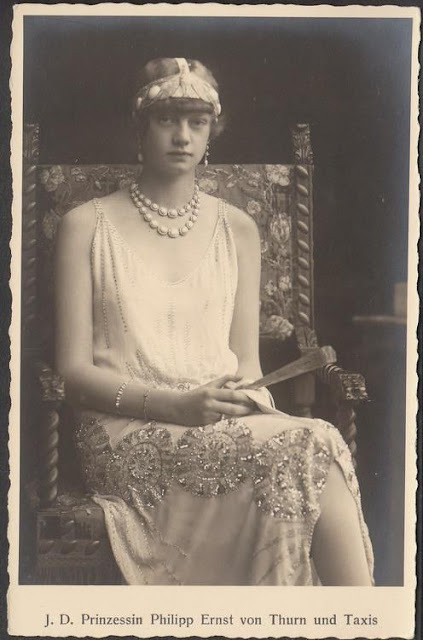 The princess, the eldest child of Prince Friedrich and Princess Eleonore (nee de Ligne), was raised at Schloss Biskuptiz, in what is now the Czech Republic. Although she was officially styled as Princess Eulalia, she was called Illa by everyone in her family. An introduction between Illa and Raphael Rainer was made in Baden-Baden. The prince's younger brother, Philipp Ernst, was also invited. Several informal family conferences were held, and "the wisdom of an alliance" between Illa and Raphael seemed clear. She showed "a certain preference" for Raphael. This lead to an official engagement. 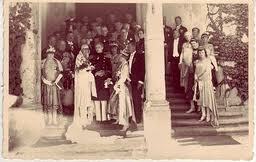 But when everyone gathered in Regensburg on January 31, 1929 to celebrate the marriage between Illa and Raphael. Illa, however, had second thoughts about this marriage. She went to see her future father-in-law, and told him that she could not marry Raphael. It was not until the next day when further details were leaked. It appeared that she was not in love with Raphael but with his younger brother, Philipp Ernst. Illa told her family that she had not been sure about her feelings until the week leading up to her wedding when everyone was staying at the family's castle in Regensburg. During that week, as she prepared for her wedding, she would see Philipp Ernst daily, and as the wedding drew closer, she knew that she would not be able to marry his brother. She did not love Raphael. She loved Philipp Ernst, and he was in love with her. Illa told Prince Albert that it would be wrong to marry Raphael when she was in love with Philipp. She was a devout Catholic, and she wanted a true marriage. Albert called a family conference that included Illa's father, and all agreed to cancel the wedding. It was said that Illa's sincere motives that came out of a "deep religious conviction" that lead her to confess her love for Philipp Ernst. It was a mature decision for the 20-year-old Princess. On May 7, 1929, Illa's engagement to Prince Philipp Ernst of Thurn and Taxis was announced. May 7 was also Philip's 21st birthday, the day he reached his majority. Their marriage took place at Schloss Taxis on September 8, 1929. The couple had three children, Albert (1930), Margarete (1933) and Antonia (1936). Albert married Baroness Alexandra von der Ropp in 1962. The marriage is considered unequal by Thurn und Taxis family law. The couple has no children. Margarete and Antonia have never married. Illa's father, Friedrich, was murdered on May 10, 1945, at Schloss Biskupitz. On May 24, 1932, Prince Raphael Rainer married his second cousin, Princess Margarete (Rita) of Thurn und Taxis. Please tell who murdered Friedrich!!!?? ?